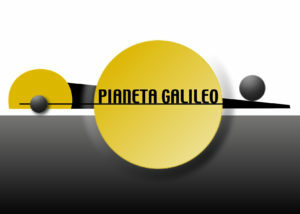 Collaboration with the “Pianeta Galileo” project. Nefocast has officially started its collaboration with “Pianeta Galileo”, a vehicle for the dissemination of design activities and spreading scientific culture..
Pianeta Galileo is a Tuscan project to spread knowledge and information about science in educational establishments. It is promoted by the Tuscan Regional Council. Since it began in 2004, it has promoted reflection on science as an essential basis of widespread knowledge and its fundamental importance in every community. Pianeta Galileo has two goals. They are encouraging closer contact for young people with the world of science, research and its applications in a simple, direct and understandable way, as well as stimulating curiosity and critical thought. It offers a rich program with educators and scientists committed to translating scientific knowledge into a simple and engaging language. There are hundreds of events all over Tuscany, and a wide variety of meetings/lessons held by important names in Italian scientific research. In line with the dissemination goals of Nefocast partners, and with the institutional objectives of the public research organizations involved, Pianeta Galileo connects educational institutions with universities and organizations operating in the region in the field of research and scientific education. It involves mainly secondary school students in Tuscany, but also includes some activities with primary schools and runs a series of events aimed at the general public as well.